Market Neutral Strategy (MNS) portfolios: offer the potential for decent, steady returns in both good markets and bad. HOW DOES A SOGOTRADE CUSTOMER GET THIS TOOL? Existing customers will receive complimentary access to all reports & the monthly newsletter. GET ACCESS TO THIS TOOL? 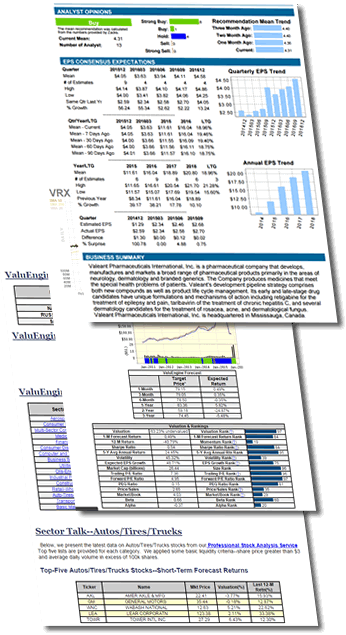 Guests can sign up for a Free monthly newsletter(VE View and Market Neutral Portfolio). The reports on 5300+ individual stocks, 16 Sectors and 140 Industries are made available exclusively to SogoTrade customers. A SogoTrade account is required to receive free access to the reports. Note: Access to the newsletter can be cancelled at anytime. SogoTrade reserves the right to stop sending the newsletter at any point for any reason and without notice.